Mary Flower’s immense finger picking guitar and lap-slide prowess is soulful and meter-perfect, a deft blend of the inventive, the dexterous and the mesmerizing. Her supple honey-and-whiskey voice provides the perfect melodic accompaniment to each song’s story. An internationally known and award-winning picker, singer/songwriter and teacher, the Midwest native relocated from Denver to the vibrant Portland, Oregon music scene in in 2004. She continues to please crowds and critics at folk festivals, teaching seminars and concert stages domestically and abroad, that include Merlefest, Kerrville, King Biscuit, Prairie Home Companion and the Vancouver Folk Festival, among many. A finalist in 2000 and 2002 at the National Finger Picking Guitar Championship, a nominee in 2008, 2012 and 2016 for a Blues Foundation Blues Music Award, and many times a Cascade Blues Assn. Muddy Award winner, Flower embodies a luscious and lusty mix of rootsy, acoustic-blues guitar and vocal styles that span a number of idioms – from Piedmont to the Mississippi Delta, with stops in ragtime, swing, folk and hot jazz. Flower’s 11 recordings, including her four for Memphis’ famed Yellow Dog Records — Bywater Dance, Instrumental Breakdown, Bridges and Misery Loves Company — show a deep command of and love for folk and blues string music. For Flower, it’s never about re-creation. Her dedication to the art form is a vital contribution to America’s music. 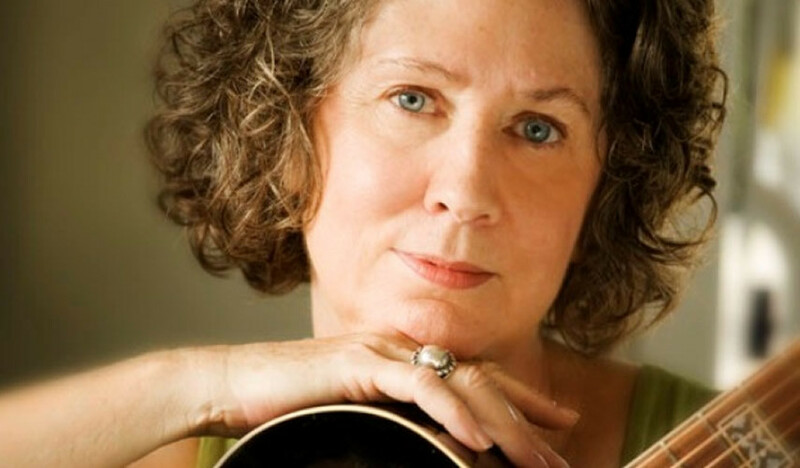 Guitarist, singer and songwriter Mary Flower is that rare breed of American roots artist. Her devotion to the art form is both lovingly and historically accurate, yet her creativity lends it vitality and energy that it might continue, evolve and flourish in an age of increasingly digitized and compressed music. Flower is fluent and masterful in the artistically tricky Piedmont style of acoustic guitar, one that requires a deft touch, intricate picking, and an innate sense of subtle harmonics wrapped in a rousing good time. But the Pacific Northwest guitarist – who relocated from Denver to Portland, Oregon, in 2004 – is equally rooted, schooled and dynamic with Mississippi blues, especially when rendered on a vintage lap-slide. Stir in her love of swing, ragtime, folk and hot jazz, plus a healthy dose of her own song craft, and you have a modern artist with an ear for the traditional who brings an immediate vibrancy and dynamism to any concert hall and stage performance. Flower’s 10 recordings, including her last four for Memphis’ famed Yellow Dog Records – Bywater Dance, Instrumental Breakdown, Bridges and Misery Loves Company – show a deep command of and love for folk and blues string music. But for Flower, it’s never about re-creation. Her dedication to the art form is a vital contribution to America’s music going forward. As well, Flower is an acclaimed teacher, who helped develop Denver’s Swallow Hill Music School curriculum and who has been found in session with the European Blues Association, Centrum Country Blues, the Fur Peace Ranch, and at the Swannanoa Gathering. She has produced a number of highly regarded instructional DVDs and books, including Exploring 8-Bar Blues, Blues Guitar Arrangements for the Intermediate Player, and Lap Slide Blues for the Solo Player. Evolving out her native Indiana, Flower first relocated to the rich Denver music scene, working with Katy Moffatt, Randy Handley and Pat Donohue and was a founding member of the famed Mother Folkers. After building her career and reputation as a picker’s-picker, including top-3 finishes (and the only woman finalist) at the National Fingerpicking Guitar Championship in 2000 and 2002, Flower escaped the Denver orbit to land in culturally rich Portland, Oregon, where her career continued to flourish with four albums for Memphis’ famed Yellow Dog Records and constant touring. After Bywater Dance in 2005 (recorded in New Orleans with some of the Emerald City’s best musicians) and Instrumental Breakdown in 2007, Flower delivered a gem in 2008’s Bridges, an ode to her newly adopted home that featured indelible performances from her and a crop of Portland’s finest musicians. The CD is a culmination as well as a tribute. The title pays homage to the sheer number of structures that cross Portland’s rivers (depicted nicely in Gary Houston’s cover art), but also refers to the bridge she builds with her music. The 14-song project was recorded entirely in the Rose City as she continued to further cross-pollinate her music by hand-selecting a host of her favorite musicians to play along. The Midwest native continued her love affair with the Rose City using it as her home base to continue her exploration of Piedmont blues, country blues, ragtime and folk both here in the U.S. and abroad. More entrenched than ever in Portland, Flower released Misery Loves Company in 2011, her fourth for Yellow Dog, and a recording that found her in the duet setting with another roster of Portland greats, plus the inestimable talents of Canadian musician and producer Colin Linden (Bob Dylan, Emmy Lou Harris, Bruce Cockburn). The project was more proof and recognition of both Flower’s talents and Portland’s rich depth of musicians who she rounded up for this recording. Accolades come easily and deservedly for Flower – the aforementioned National Fingerpicking Guitar Championship finishes, as a nominee in 2008, 2012 and 2016 for Blues Foundation Blues Music Awards, a 2009 nod with the coveted Vox Populi award at the 2009 Independent Music Award’s Acoustic Song category, and a 2011 Portland Muddy Award win. The list goes on. But for Flower, it’s not about prizes. It’s about making the music come alive onstage, in her recordings, and with her teaching. She continues to compose, record and tour relentlessly, honing and evolving her style rooted in rich tradition but always moving America’s indigenous music forward.